Another day, another new spin. Sign-Ups Open for Summer Sock Club! Fresh pastels with a lot of white in them are looking really good to me right now. And I never thought those words would find their way out of my keyboard. I’m definitely not a pastel-y person either, but this spin is very pretty indeed! 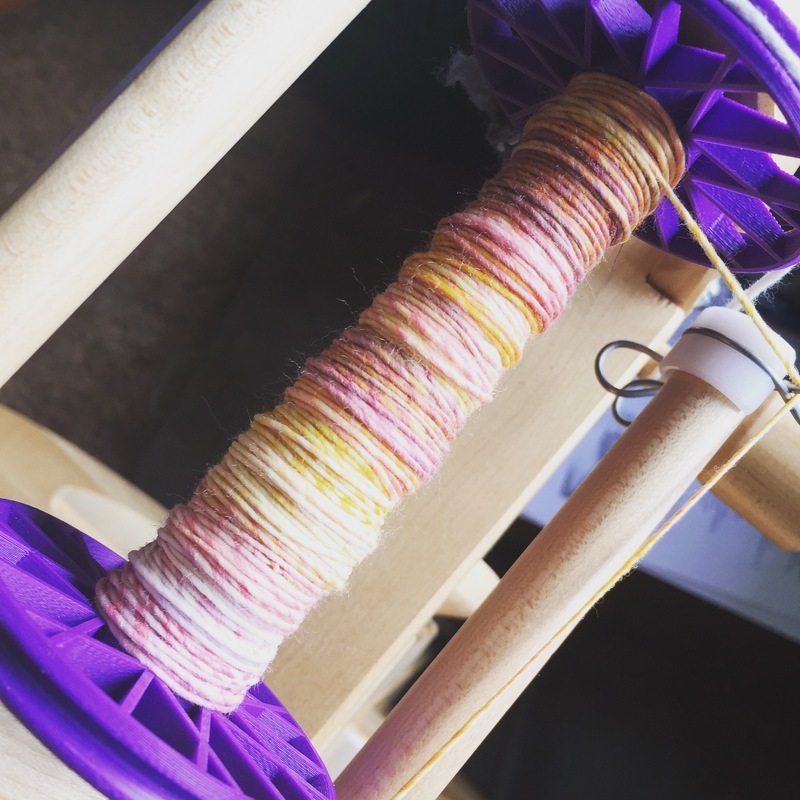 The other half is less saturated, so seeing it plied I think will be pretty fantastic.